All Dog breeds are naturally smart. In this Smartest Dog Breeds list we consider about ability to learn how to do its job. A good owner will understand his dog’s natural traits, quick study or slow and steady, to bring out his dog’s natural smarts. Watch video How Smart Are Dogs? 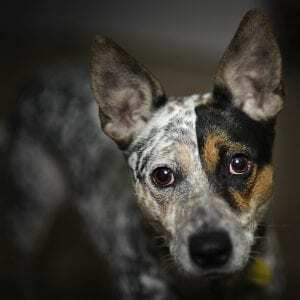 Australian Cattle dog is also known as Cattle dog, Blue Heeler or Red Heeler. The breed is originated in Australia for droving cattle over long distances across rough terrain. Popular as working and herding dog breeds. Cattle dogs are highly energetic, intelligent and independent. 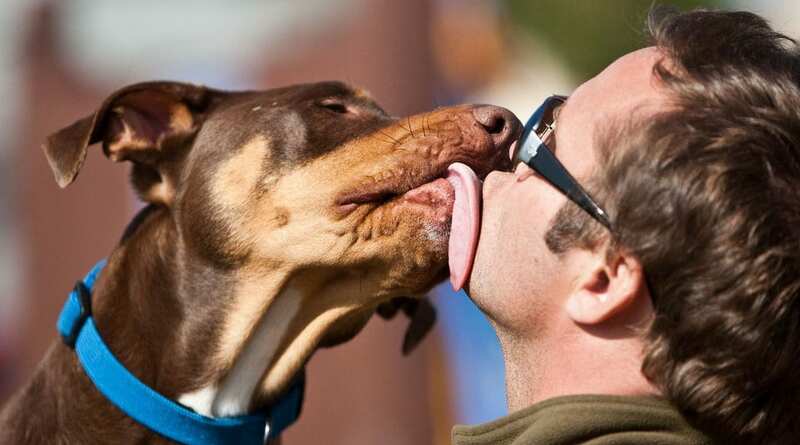 That’s why they are selected as one of the smartest dog breeds in the world. They are affectionate and playful dogs who need sufficient training. Australian Cattle dogs can work as excellent guard dogs. They usually work silently but they have high pitched bark. Cattle dogs will bark to get attraction. Average life span of the dog is ranged in between 12 – 14 years. Papillion dog is also known as Continental Toy Spaniel, Butterfly dog or Squirrel dog. The breed is originated in Spain. They are looking so cute. 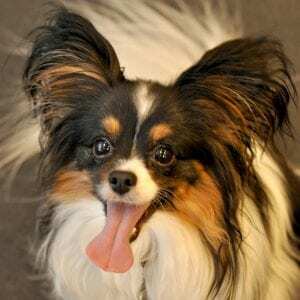 Papillon is an intelligent dog breed who can learn new tricks very easy and self assured. That’s why Papillion’s is mentioned as the smartest. They are sociable, affectionate and playful breed. But it shows an aggressive behaviour against other dogs and people. Papillon is a good family dog who can move with the children and play with them well. Daily walking or regular exercises are required to maintain the health of the dog breed. Their life span is ranged up to 17 years. Shetland Sheep dog is also known as Shetland Collie or Sheltie. The breed is originated in the Scotland. They are small herding dog breed. Shetland Sheepdogs are very intelligent, energetic, vocal, excitable, hard working and willing to please. So this breed is in the smartest dog breeds list. They are looking so pretty. They are rarely being aggressive and this Shetland sheepdog can deal with small children well. During hard times they required joy or comfort. Due to that they are also a type of therapy dog breeds. Grooming is very important one to those who have bunch of hairs in the body. 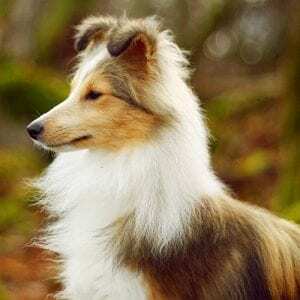 Shetland sheepdog is an obedient, gentle and intensely loyal dog breed. Average life span is ranged in between 12 – 13 years. 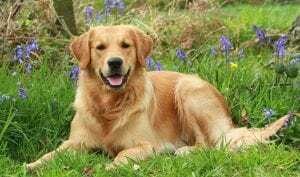 Golden Retriever is originated in the Scotland. They are large sized gun dog breed. Golden Retrievers are water loveable dogs. They are normally used as disability assistants who can be a guide dog to the blind and herding dog to the deaf. 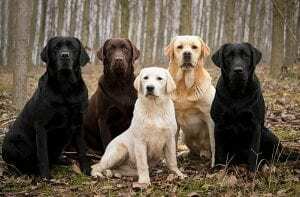 And also Retrievers’ can be trained as detecting dog, hunting dog and search and rescue dog. Poodle is also known as Pudle, Caniche and Barbone. They are originated in Germany and then standardized in France. 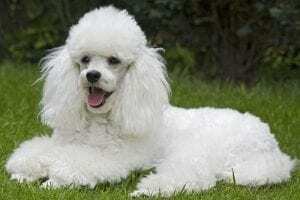 Poodle is recognized as 4 sizes including standard, medium, miniature and toy. They are talented in many sports such as tracking, agility, and obedience and even herding. That’s why they are mentioned as the smartest. Poodles have been used as working dogs. Mostly they are used in the military purposes. They are intelligent, active, elegant, energetic and sociable breeds. Poodles are highly recommended family dog breeds who can deal with children well. They are also used as hunters. Average life span is ranged in between 11.5 to 12 years. 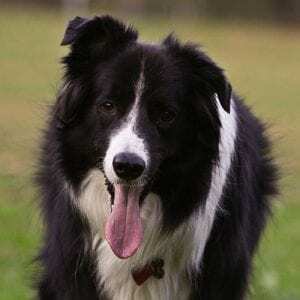 Border Collie is also known as Scottish Sheepdog. They are originated in United Kingdom. They are popular as working and herding dog breeds. Border collie is highly intelligent, acrobatic, athletic and extremely energetic dog breed. That’s why they are mentioned as the smartest. They need daily physical exercise and mental stimulation to maintain good health. They are the most intelligent dog breed in the world. Due to collie’s strong desire to herd they are not suitable to deal as family dogs or with children or other pets such as other dogs and cats. Average life span is ranged in between 10 – 14 years. German Shepherd dog is also known as Alsatian and Deutscher. They are originated in Germany. German shepherds are medium to large sized working dog breeds. They are highly intelligent, strong, obedience and trainable dog breed. That’s why they are mentioned as the smartest. Also these breeds are used as search and rescue, police, military, actors and disability assistance. German shepherd dogs are active, self assured and excellent guard dogs. So that they are highly preferred as family dogs who can deal with children well. Average life span ranged in between 9 -13 years. 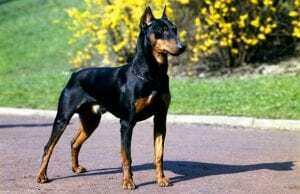 Doberman Pinscher is also known as Doberman and Dobie. They are originated in Germany. Dobermans are medium to large sized domestic dog breeds. They are highly intelligent, loyal, alert, and energetic and guard dog breed. That’s why they are mentioned as the smartest. They are sometimes being stubborn. Doberman pinscher is an excellent family dog breed who can deal with children well. They have, determined, watchful, loyal, obedient, and proud temperament. They are also used as working dogs. Regular exercises and diet are important to maintain good health. Average life span is ranged in between 10 – 11 years. Labrador Retriever is also known as Labrador and Lab. They are originated in United Kingdom and Canada. They are a type of retriever gun dog. They are intelligent dog breed who is working as disability assistance for the blind and those who have autism and also used as hunting, sporting and as therapy dogs. That’s why they are mentioned as the smartest. Labradors are outgoing, kind, pleasant, and tractable in nature. 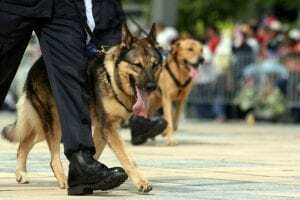 They are used as detecting dogs in police, navy and military. Labrador retriever is an excellent family dog breed who can deal with children and other pets well. They are also mentioned as working dogs. Regular exercises are required to maintain good health. Average life span is ranged in between 10 to 12 years. 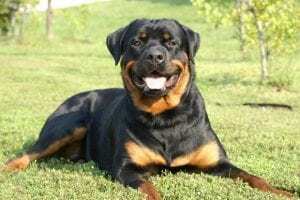 Rottweiler is also known as Rott and Rottie. They are originated in Germany. They are medium to large sized dog breeds. Rottweiler is an intelligent herding dog breed. 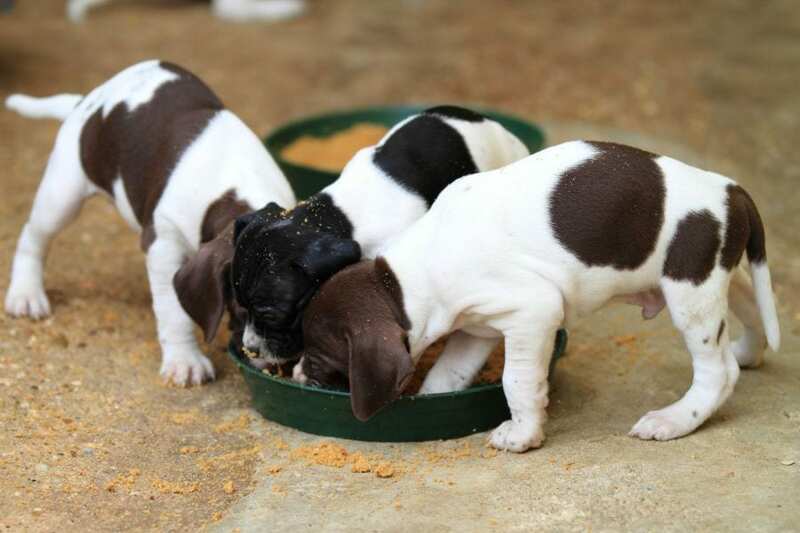 They are used as guide dogs, guard dogs, police dogs and search and rescue dogs. That’s why they are mentioned as the smartest dog breeds . Rottweiler is normally an energetic companion serve as working dogs. They are obedient, highly devoted, self assured, fearless, steady and good natured dog breeds. Rottweiler is and family dogs who can deal with children. They required sufficient and regular exercises to maintain good health. Average life span is ranged in between 8 – 10 years.